Crenation is the term used to describe an object having a scalloped or round-toothed edge. The term comes from the Latin word crenatus which means 'scalloped or notched'. In biology and zoology, the term refers to an organism displaying the shape (such as a leaf or shell), while in chemistry, crenation is used to describe what happens to a cell or other object when it is exposed to a hypertonic solution. Red blood cells are the particular type of cell most discussed with reference to crenation. 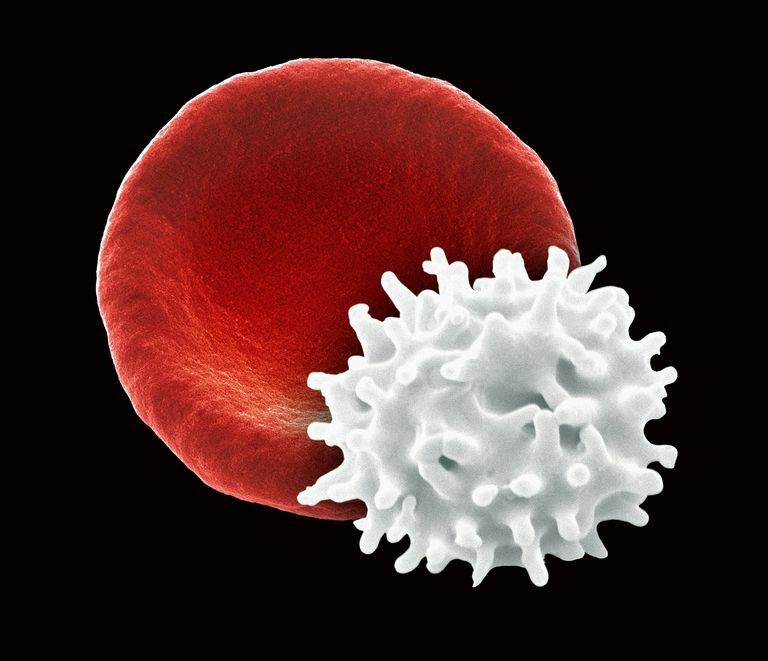 A normal human red blood cell (RBC) is round, with an indented center (because human RBCs lack a nucleus). When a red blood cell is placed in a hypertonic solution, such as a highly saline environment, there is a lower concentration of solute particles inside the cell than outside in the extracellular space. This causes water to flow from inside the cell into the extracellular space via osmosis. As water leaves the cell, it shrinks and develops the notched appearance characteristic of crenation. In addition to hypertonicity, red blood cells may have a crenated appearance as the result of certain diseases. Acanthocytes are spiked red blood cells that may form from liver disease, neurological disease, and other illnesses. Echinocytes or burr cells are RBCs that have evenly-spaced thorny projections. Echinocytes form after exposure to anticoagulants and as artifacts from some staining techniques. They are also associated with hemolytic anemia, uremia, and other disorders. While crenation occurs in animals cells, cells that have a cell wall cannot shrink and change shape when placed in a hypertonic solution. Plant and bacterial cells instead undergo plasmolysis. In plasmolysis, water leaves the cytoplasm, but the cell wall does not collapse. Instead, the protoplasm shrinks, leaving gaps between the cell wall and cell membrane. The cell loses turgor pressure and becomes flaccid. Continued loss of pressure can cause the collapse of the cell wall or cytorrhysis. Cells undergoing plasmolysis do not develop a spiky or scalloped shape. Crenation is a useful technique for preserving food. Salt curing of meat causes crenation. Pickling of cucumbers is another practical use of crenation.